Plat overlay over an aerial view of Eagle Ridge. Note while we believe the accuracy of the overlay we cannot guarantee it, please see registered plat for actual property boundries. Plat overlay on aerial photo of Eagle Ridge Country & Riverview Estates. Note while we believe the accuracy of the overlay we cannot guarantee it, please see registered plat for actual property boundries. 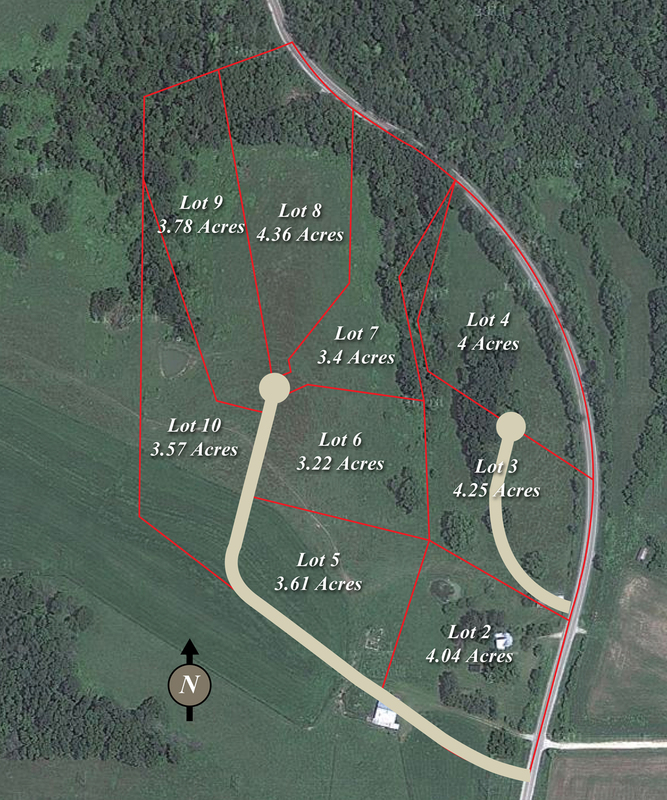 Eagle Ridge Country & Riverview Estates is a property development with land for sale near Lansing Iowa. Eagle Ridge has breathe taking views of the Mississippi River. To view the lots that are available for sale at Eagle Ridge, click here.